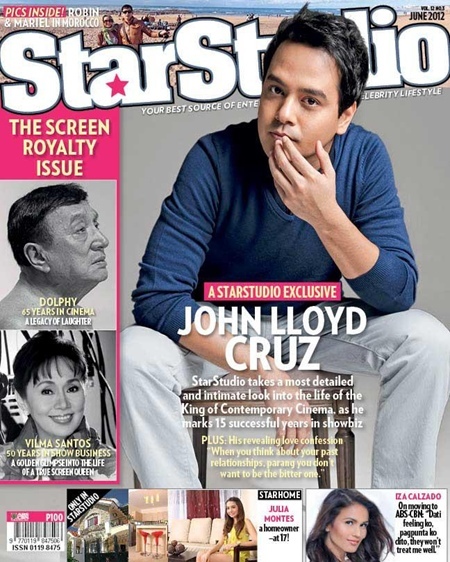 Box-office actor and today's one of the most bankable leading men John Lloyd Cruz is the main feature of the June 2012 issue of StarStudio magazine. Lloydie graced the said cover for the magazine's "The Screen Royalty Issue." Aside from Lloydie golden celebrities namely the Comedy King Dolphy and Star For All Season Ms. Vilma Santos were also featured in this month's edition.